Each state stands to make tens of millions of dollars in tax revenue from the sale of cannabis, but laws differ on how the extra money will be allocated. Election Day 2016 was a seismic event in the history of cannabis policy. Voters in eight states wound up expanding access to either medical or recreational cannabis on Election Day, bringing the number of states around the country that provides some cannabis access to 29. Added to the ranks of states allow for recreational cannabis are California, Nevada, Massachusetts, and Maine. Each state stands to make tens of millions of dollars in tax revenue from the sale of cannabis, though their state laws differ on how the extra tax money will be allocated. California’s passage of a ballot measure legalizing recreational cannabis immediately granted access to the substance to a staggering 38 million people. The initiative, called Proposition 64, which allows individuals to possess 28.5 grams or less of dry herb cannabis or up to 8 grams of cannabis concentrate, also presents the opportunity for a financial windfall. All retail sales of cannabis will include a 15 percent excise tax, as well as separate cultivation taxes on cannabis flowers cannabis leaves. The entire tax and regulatory regime will not be established until January 1, 2018. According to California’s nonpartisan Legislative Analyst’s Office, the state’s system stands to generate roughly $1 billion in annual sales. The revenue from such taxes are to be deposited in a state account – dubbed the California Marijuana Tax Fund – with millions of dollars allocated for such initiatives as: grants to communities ravaged by the Drug War; monitoring of Prop. 64’s effects; research and development of technologies to monitor and prevent intoxicated driving; and funding youth education programs, among several other measures. The Silver State approved a measure known as Question 2 that allows individuals to possess up to one ounce of cannabis or one-eighth of an ounce of concentrate. The initiative states that Nevada’s Department of Taxation has until January 1, 2018, to establish licensing regulations for state’s fledgling industry. When it comes to the tax rate, Question 2 calls for a 15 percent sales tax on all recreational cannabis sales. It also plans to institute a 4.6 percent state tax and allows for localities to impose an additional tax of up to 3.55 percent. 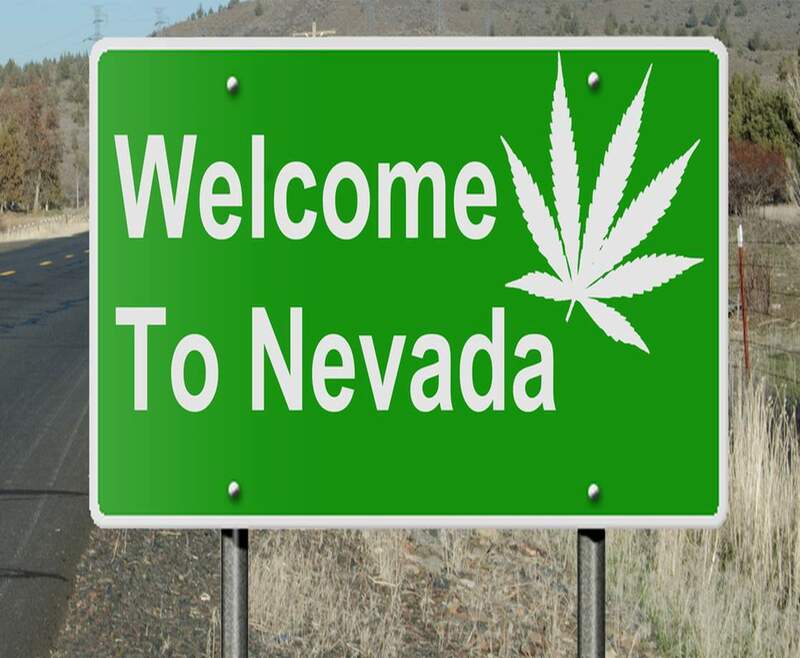 According to one estimate, Nevada’s taxes on cannabis stand to pad the state’s coffers with over $1.1 billion in revenue and increased economic activity over the course of the law’s first 8 years. Massachusetts voters enacted their own legalization measure, Question 4, by a solid margin on Election Day. The Bay State’s initial guidelines surrounding the possession of recreational cannabis allow consumers to possess a whopping 10 ounces of the substance within their homes, as well as one ounce in public. The initiative establishes a state tax of 3.75 percent on cannabis sales, with localities given the option of adding up to 2 percent. According to some estimates, sales of recreational cannabis would generate more than $120 million in revenue in the next four years. Maine voted in favor of recreational cannabis in a squeaker of an election, approving the measure the measure known as Question 1 by less than half of a percentage point. The measure, which also allows for the creation of cannabis social clubs throughout the state, establishes a sales tax of 10 percent on recreational cannabis. Ninety-eight percent of the extra tax money from cannabis sales will reportedly be put into a state general fund, which will allocate the money towards education initiatives and law enforcement training, among other areas.